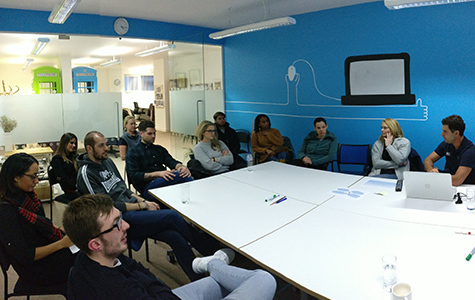 Another year starts, another term begins, another SwimWay Staff Meeting takes place! 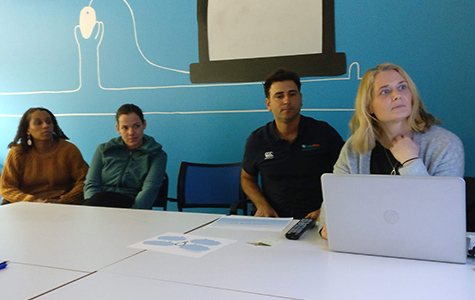 At the start of every term, the entire SwimWay team meets for the team meeting and health and safety training. An opportunity not only for the team to meet up face to face to discuss ideas and resolve any potential issues, but also for the ever-important health and safety refresher course. 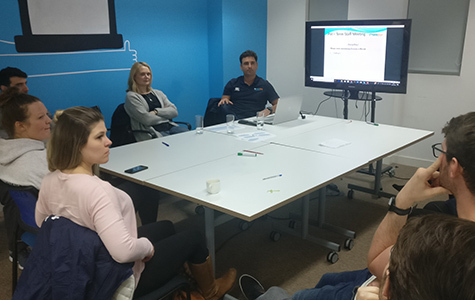 As usual, SwimWay MD Dan Pastor and Head of Swimming Tamsin Watt took the staff through operational matters, while in the second group our Consultant Dave Perry ran through the company Health and Safety practices. There was a positive energy in the room throughout these sessions. 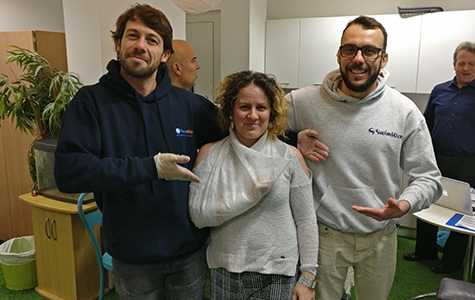 Each of our instructors recognises the importance of these health and safety practices and procedures, and there can never be too many first aid reminder courses! New Developments: Dan kicked things off by announcing the opening of a brand new SwimWay Venue, starting Summer Term 2019! We are extremely excited to get started in our first Surrey location. The groundwork is currently being laid, and we expect an excellent first term with some new clientele in the area. For more information, contact us on cranleigh@swimway.co.uk. 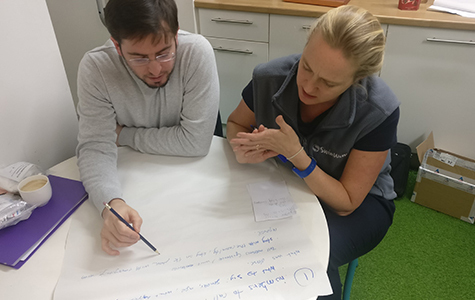 Assessments and SwimWay methodology: Dan, Tamsin and the other office staff highlighted the importance for our instructors to ensure that our students are correctly assessed throughout and at the end of every term. Our CoursePro bookings system allows our instructors to continuously assess the children throughout the term. Then near the end of the term, we have an “assessment week” where the children are taken through the skills and criteria for the stages they are working on. The results of these assessments come in the form of the certificates and badges the children receive at the end of every term. It is incredibly important for our instructors to assess the children conservatively, and correctly. Any over or under-estimation of a child’s level can result in mismatches in 1:2 lessons. This is something on which we work very hard to avoid. SwimWay Child Protection: Tamsin’s presentation this term focussed on SwimWay’s policies for safeguarding and child protection. Safeguarding and child protection is the action taken to promote the welfare of children. SwimWay is committed to having its Safeguarding and Child Protection policy available to view on our website by the end of this term. 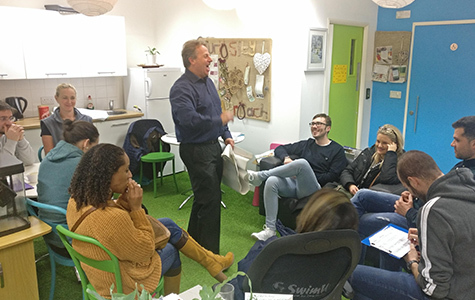 All our instructors are required by law to ensure they have constantly updated certificates for the Safeguarding Children, Young People and Vulnerable Adults course. 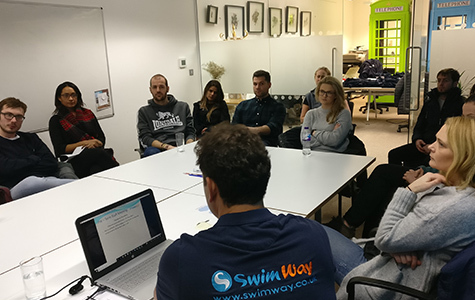 Tamsin took the team through the SwimWay best practices and guidelines to ensure a safe and protected environment for any person in the water. We feel that our constant focus and attention to these kinds of details help to assure our clients that we understand our responsibilities as a swimming lesson provider for children. 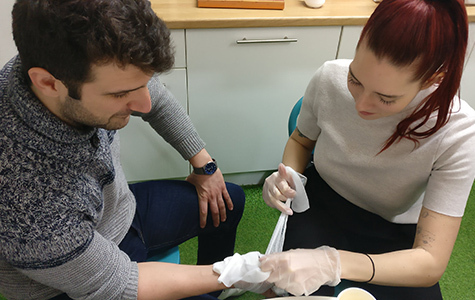 The first priority for us is to ensure the health and safety of each and every one of our students. To finish the long Sunday, Dan treated the team to a drink at the local. At SwimWay, we try to create a friendly and sociable environment for everyone. With our instructors and office team operating in so many different locations, it is sometimes tricky to get together as a team. These staff meetings allow for everyone to touch base and maintain relationships. Click here to learn more about SwimWay’s commitment to Health And Safety. Wishing all our lovely students and parents a happy and productive term ahead!